Door Finger Guard for Extermal and Internal Use. A weather-proof finger guard for exterior doors. 2015mm size (to order) meets EN16005. Astro Finger Defender - External is a high quality finger guard for use with external doors subject to weathering forces. The guard is resistant to: rain, snow, frost, foliage, dirt and UV light with an operating temperature range of -20 to +50 °C. This guard has an increased wall thickness (compared to the interior version) for extra durability and the blind material is designed for external use. Surfaces are wipeable and easy to clean. Also be used for sterile environments as it can be steamed cleaned. 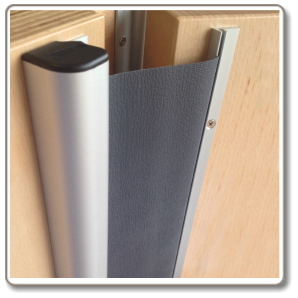 The guard is attached by concealed fixings and is suitable for retrofitting. 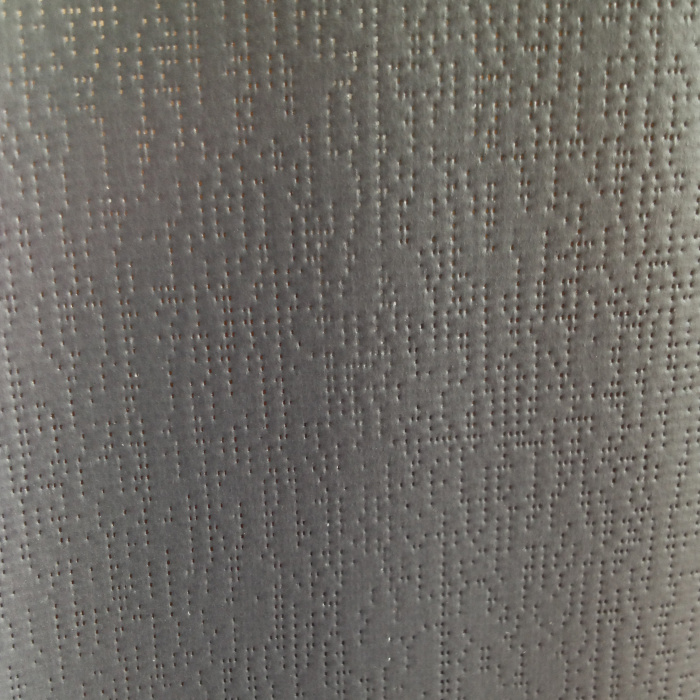 The tension in the blind prevents fingers entering the hinge gap, where they may be subject to trapping. Supplied with instructions and all fixings. 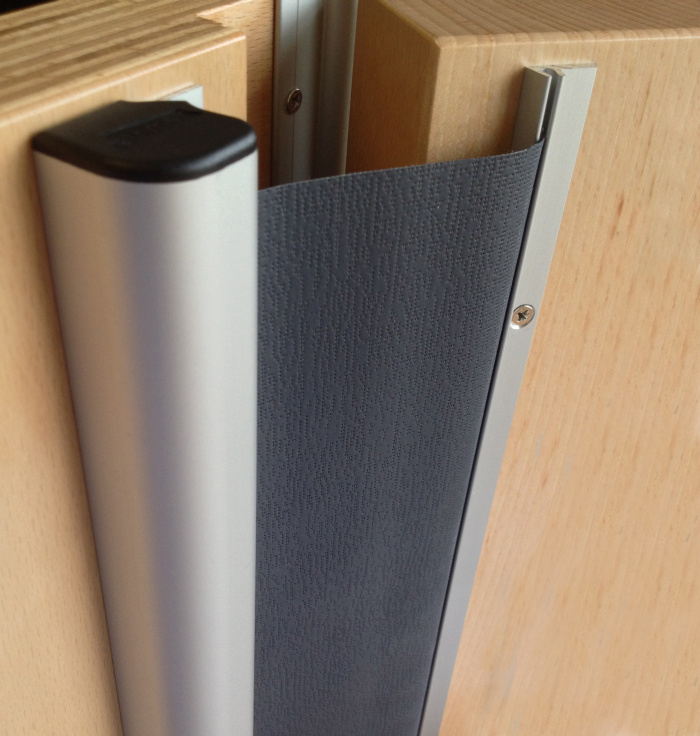 Colours: Satin Anodised Aluminium housing with Anthracite Grey (RAL 7016) blind. Longer length sizes available to order. The product does not present any known health hazards during or after installation. Normal good industrial and personal hygiene practises should be observed.